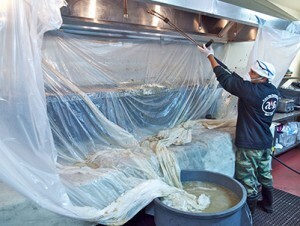 The buildup of grease is one of the most dangerous problems that you can find in your commercial kitchen. This problem isn’t going away anytime soon, making it critical that you determine a long-term solution that works for your business. 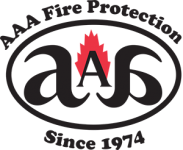 At AAA Fire Protection Services, we have worked with hundreds of commercial kitchens to ensure that you’re fully protected from grease fires. These fires can pop up unexpectedly and cause a great deal of damage in a short period of time. Sparks, electricity and flames from cooking can all quickly ignite grease that has built up in your exhaust system. State and local codes, insurance companies and even city fire departments often have schedule requirements for grease exhaust cleaning. This job is not for the faint of heart, however – it can be difficult and messy for food service teams who aren’t used to the undertaking required for this type of service. Our teams fully understand the challenges associated with keeping a commercial kitchen safe. We have developed procedures over the years that allow us to quickly and effectively clean your exhaust so you can get back to business. Plus, we’re able to provide you with the paperwork that you need for insurance and building compliance to prove that your fire protection is up-to-date. Our scheduled grease cleaning service ensures that you never go too long in between critical cleanings, reducing the chance that you’ll experience a dangerous and expensive grease fire. Use the quick chart below to determine your ideal frequencies. While we do everything in our power to ensure that you don’t have an emergency, the unexpected could still happen. Fortunately, our rapid emergency response procedures will help you get through a difficult situation. Our 24/7 emergency line provides you with immediate access to a AAA Fire Protection Services professional who has your information close to hand and can quickly grasp your needs. They can then work with you to determine resolution and execute rapidly. 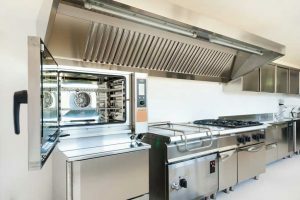 Ready to see how a seamless maintenance experience works for your commercial kitchen grease exhaust cleaning? Contact us today at 855-788-7807 or fill out our online form for a free initial estimate. We always put our customers first, and constantly look for ways to improve service effectiveness.